I’ve practiced yoga for 15 years now, dabbling with different styles of teaching and different styles of breathing. When I started practicing, I practiced an Ashtanga style that offered many physical benefits. It tuned me into my body, I learned how to breathe better and overall I was in great shape. It felt good in my body and helped me to get stronger in my mental body.Although I was practicing other styles of yoga like Vinyasa and Anusara, I was very resistant to the classes that were described as “gentle” or “restorative.” My ego was constantly convincing me that these practices would weaken me and that I needed to keep practicing more vigorous styles. Even when my body was worn out, I would still roll out my mat and push harder than I needed to. I did this for 9 years. It wasn’t until I started feeling pain in my neck and lower back that allowed me to take my practice deeper. When I say deep, I mean I literally allowed myself to try more gentle practices. What I have discovered through this journey is that gentle styles of yoga literally allow you to let go and just breathe. One of my favorite things about yoga is the breath. I enjoy the subtle transformation that comes with the breath. I love that when you just allow yourself to breathe, you can actually reach the essence of what it feels like to be alive. Imagine yourself laying in a comfortable position, one that your body can hold for 15 minutes. While laying in this position you can allow the breath to carry you back to your source. That place of oneness and peace. If you are willing you can allow yourself the space for deep healing. This healing is where your subtle body merges into oneness with your physical body. When these two bodies merge, they heal your WHOLE self. Yoga, the union of all things ONE, is a practice. We go to the mat to practice so that we can show up for life. I love all styles of yoga. I still enjoy practicing vigorous styles that challenge me. It’s the balance that I seek, which allows me to practice with a balanced perspective. Relax and Renew is a great class to take when looking for a more therapeutic style. Stressed? Busy trapped in a job or relationship? Need to take a timeout from your own daily grind? Relax and Renew will teach you to breathe and be still. It will hold you as if you are a new born baby being held in the arms of your mother. Relax and Renew is followed by the practice of Yoga Nidra. Yoga Nidra is a conscious sleep. Yoga Nidra is a highly powerful ancient meditation technique originated from the Tantras. It is the scientific way to eliminate the root cause of all the negativities. In yoga nidra, you not only enjoy the complete physical, mental and emotional relaxation but also get to explore the tremendous powers hidden in the deeper layers of subconscious and unconscious mind. Yoga nidra is a more efficient and effective form of psychic and physiological rest and relaxation than the routine sleep. A single hour of yoga nidra is as restful and refreshing as four hours of conventional sleep. 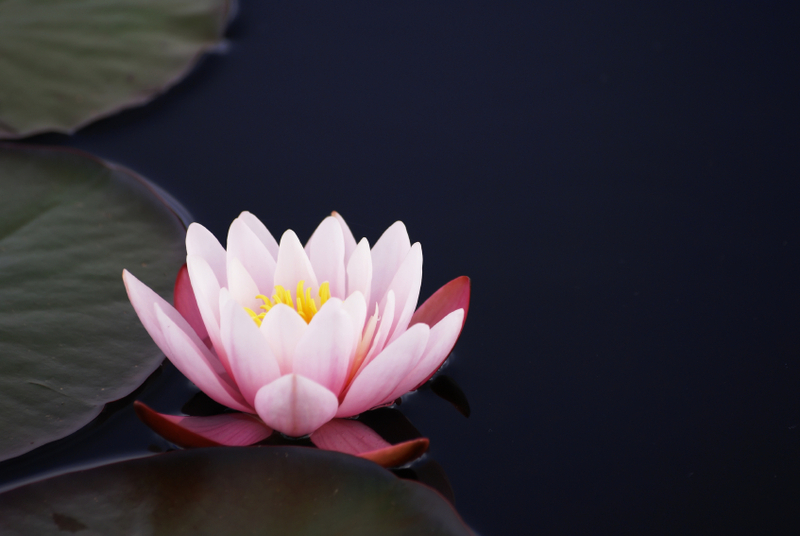 Join me for Relax and Renew on the 2nd and 4th sunday of each month at 6:00pm at Charlotte Family Yoga and starting in September on wednesdays at 5:30pm at Charlotte Family Yoga. There are a number of different perspectives on child birth. It is often a mothers choice on how she chooses to give birth. Mothers seek different options to fulfill their own physical and emotional needs. Whichever path they choose, they need to have support. Labor support is a good method because it offers a connection between mother and baby in both an emotional and physical way. Alternative approaches like prenatal yoga, finding a doula and a midwife can help to reassure the mother that she is normal and healthy. It is a known fact that the experience of giving birth is intense. The intensity of labor is both physical and emotional. Women seek out birth preparation in the beginning phases of pregnancy as a way to prepare them for what is to come. Prenatal Yoga is a good step in helping prepare the mothers body, mind and spirit for labor. It connects mother and baby while also strengthening her core and physically grounding her for releasing baby out of her pelvic area. Most importantly, it teaches her birthing breath, which is a good alternative to medication. In the meantime, a women also needs labor support so that she is reassured that the experiences she is having are both normal and healthy. She also needs to receive feedback about her process while in labor. Some women also seek gentle, warm touch as well as gentle assistance to help move and change positions in labor. Motivational encouragement given by labor support also helps relieve the intensity of giving birth. Sara is a young woman planning her labor. She is a naturalist and has always supported holistic healthcare. She is athletic and healthy. Sara started practicing prenatal yoga within her first trimester. By nature, Sara has an anxious demeanor to her. Yoga helps her to find peace and serenity while planning for the birth of her first child. Due to yoga, her body feels healthy, which has lead her to seek out other alternative ideas in preparing for labor. Sara reads about Doula’s and becomes interested in having one during labor. 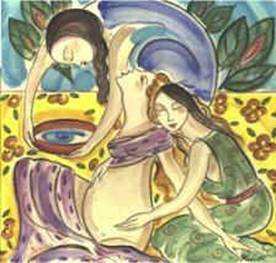 Doula (DOO-lah; Greek for ‘woman who serves’) Doula’s are trained to give comfort and care to pregnant women during labor. Women seek out labor support with hope for a positive birth experience. Some women feel that by asking for support, they are not asking for safety. The truth is that when a woman plans for labor support they are planning an effective way to make birth safer and healthier for she and baby. Research proves that labor support helps prevent cesarean, vacuum extraction or forceps delivery. It also proves that the women’s likelihood of pain medication decreases and that baby is born in better condition. Labor support helps the mother by reducing the risk of a negative outcome. Women who receive labor support have better memories of giving birth and may also feel a sense of spirituality and connectedness during this time. Sara also became concerned with the pain that comes with child birth. She asked about an epidural and should she opt for one when going into labor. Through the encouragement of her doula and midwife, Sara decided she will not opt for one because through the practice of prenatal yoga and learning the birthing breath, she wouldn’t need an epidural. When it was time for Sara to give birth she used her breathing techniques to help her with her intense contractions. Sara’s doula Janet stayed by her side through the labor while her midwife Maryann took on her role as primary caregiver to both Mom and baby. Sara’s husband Daniel stayed by her side and nurtured her by giving her gentle touch and motivational encouragement when needed. Sara had some fear around the pain she would feel and every time she would express fear her caretakers would offer her the right support. She would grunt “Me no talk now me push.” Her midwife Maryann massaged oil around her pelvic area, which made it easier to deal with. As soon as Sara began thinking that she was doing less of the work, her sweet little angel Michael eased into the world. They greeted each other with enthusiasm and approval. He looked at her with fully alert, conscious eyes. Sara felt supported by so much loving, kind attention. This sense of support left her feeling convinced that due to all of the goodness and warmth that supported and nourished her at this time, her baby Michael was born into a real state of grace. She believes that labor support and preparing for baby properly, shaped Michaels character in a positive manner. Research supports that having a doula or other caregivers during labor allows the mother to feel more relaxed and grounded during an intense physical and emotional workout. Research also supports that taking care of one’s own body, mind and spirit during pregnancy allows mother the same benefits. Being prepared for labor is important for a mother to focus on when preparing for baby. All the support a woman can get during this time will help her to go her own way with nature and her body. In the end, the mother will experience birth as life enhancing and empowering.